Planned Giving, also known as a Planned or Legacy Gift, allows donors to plan their contributions now with funds carried out at a future date. Planned Gifts come in a variety of forms, so donors can choose an option that best fits their financial situation. For those who feel inspired to make a difference through a legacy gift, there are several gift arrangements to choose from. Whether you’d like to put your donation to work today or in the future, you can find a charitable plan that allows you to provide for your family while also supporting superior health care. Here are a few options that are available. When you’re looking for a way to support superior health and wellness services in our community, you shouldn’t feel like you’re choosing between your philanthropic goal and financial security. One gift that allows you to achieve your goal and receive fixed payments for life is a Charitable Gift Annuity. A Charitable Gift Annuity involves a simple contract between you and Sun Health Foundation, where you agree to make gifts to Sun Health Foundation, and in exchange, we agree to pay you (and someone else, if you choose) a fixed amount. These payments will occur quarterly, for the rest of your life. A Charitable Bequest is a simple, flexible, and versatile way you can help support health and wellness programs in the future. This gift is traditionally made by adding a written statement in your will or living trust that leaves a specific item, amount of money, or a percentage of your estate to a person, nonprofit organization, or foundation. What many don’t realize is that anyone can make a bequest, in any amount. By including a gift through Sun Health Foundation in your will or living trust, you’re helping to ensure a future of superior health care and healthy living while you continue the charitable work you love in our community. If you’ve built up a sizeable estate and are looking for ways to reduce taxes and increase income, you may consider a Charitable Trust. A Charitable Trust is designed to reduce the amount of taxable income for individuals by first dispersing income into the trust for a specified period of time. At the end of the specified term or lifetime, the remaining trust assets are distributed to one or more designated nonprofit organizations, such as Sun Health Foundation. Charitable Trusts provide you, or other named individuals, with a partial charitable income tax deduction, an increase in income, and upfront capital gains tax avoidance. If you want an immediate charitable deduction, while potentially receiving an additional stream of income, a Charitable Trust may be the right choice for you. There are many types of Charitable Trusts such as Remainder Trusts, Lead Trusts, and Uni Trusts. For more information about trusts, contact a Director of Philanthropy by calling 623.832.5330 or emailing info@sunhealthfoundation.org. Justin, 76, and Mary, 75, want to make a contribution to Sun Health Foundation that will support our work for generations to come. But, they also want to ensure they have dependable income during their retirement years. They establish a $50,000 Charitable Gift Annuity with Sun Health Foundation. Based on their ages, they will receive a fixed payment rate of 5.50 percent, which means they will receive an annual annuity of $2,750.00 in quarterly payments of $687.50 for the remainder of their lives. They’re also eligible for a federal income tax charitable deduction that may be $19,418.62*. Finally, they know that after their lifetime, the remaining amount will be used to support wellness and health care. *Deductions and calculations will vary depending on your personal circumstances. This is only an example, and we encourage you to work together with your trusted advisors and Sun Health Foundation to determine the most beneficial options for you and your charitable cause. In this sense, the term tangible means property than can be touched, excluding land or buildings, cash, and securities. Tangible Personal Property includes infinite varieties such as valuable antiques, artwork, motor vehicles, jewelry, furniture, and more. Your personal property can make a difference in the lives of those we serve. Securities and Mutual Funds that have increased in value for more than one year are a popular asset when making a gift to Sun Health Foundation. A gift of Securities or Mutual Funds gives you the opportunity to support superior health care and wellness services while earning important benefits for yourself. When you donate appreciated Securities or Mutual Funds, you can reduce or even eliminate federal capital gains taxes. You may also be entitled to a federal income tax charitable deduction based on the fair market value of the securities at the time of the transfer. Making a gift of Securities to support superior health care and wellness services is as easy as instructing your broker to transfer the shares or, if you have the physical securities, hand-delivering or mailing the certificates along with a stock power to Sun Health Foundation. When considering this option, please do not sell your certificates prior to making your gift. Supporting superior health care and wellness services with Retirement Plan Assets is convenient. Simply make Sun Health Foundation a full or partial beneficiary of your IRA, 401(k), or other qualified retirement plan. The ease in reducing potentially high taxes while supporting Sun Health Foundation is a significant benefit for generous donors like you. Make a tax-free gift with an IRA Charitable Rollover: Transfer your gift from your IRA administrator to Sun Health Foundation directly. Donate remaining retirement plan assets: On your IRA or qualified beneficiary designation form, you can name Sun Health Foundation as a beneficiary of all or a portion of what remains in your retirement plan when the plan ends. 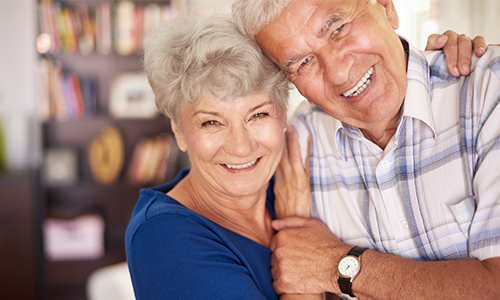 When the original purpose for a life insurance policy no longer applies—such as providing financial security for a spouse now deceased—your policy can become a powerful and simple way to support superior health care and wellness programs in our community. Name us as a beneficiary of the policy: This gift is as simple as updating your beneficiary designation form with a new policy holder to designate Sun Health Foundation as the primary beneficiary for a percentage or specific amount. You can also make Sun Health Foundation the contingent beneficiary, which will allow us to receive the balance of your policy only if your primary beneficiary is unable to accept. Make an outright gift of an existing policy: You can name Sun Health Foundation as owner and beneficiary of a paid-up policy. If you continue to pay premiums on the policy, each payment is tax deductible as a charitable gift. Make an outright gift of a new policy: You can take out a new policy and irrevocably name Sun Health Foundation as the owner and the beneficiary of the insurance contract. Whether you make one single premium payment for the policy or pay annual premiums, each payment is tax deductible as a charitable gift. Do you wish to give an impactful gift to Sun Health Foundation without touching your bank account? Consider gifting real estate. Real estate can be a personal residence, vacation home, farm, or commercial property. These generous gifts ensure that top health and wellness services are available for years to come—and a gift of real estate can also help you. If you choose to give a gift of real estate, selling the real estate is not a concern. You can deed the property directly to Sun Health Foundation or ask your attorney to add a few sentences in your will or trust agreement. Sun Health Foundation’s experienced Directors of Philanthropy lead our Planned Giving program. Their role is to educate those interested in Planned Giving and explain how you can benefit given your personal circumstance. They establish a deep connection with donors like you and explain the mission of Sun Health Foundation and the impact your Planned Gift can make on our community. We want you to feel reassured that you’re placing your donation in good hands and helping to make a real impact.